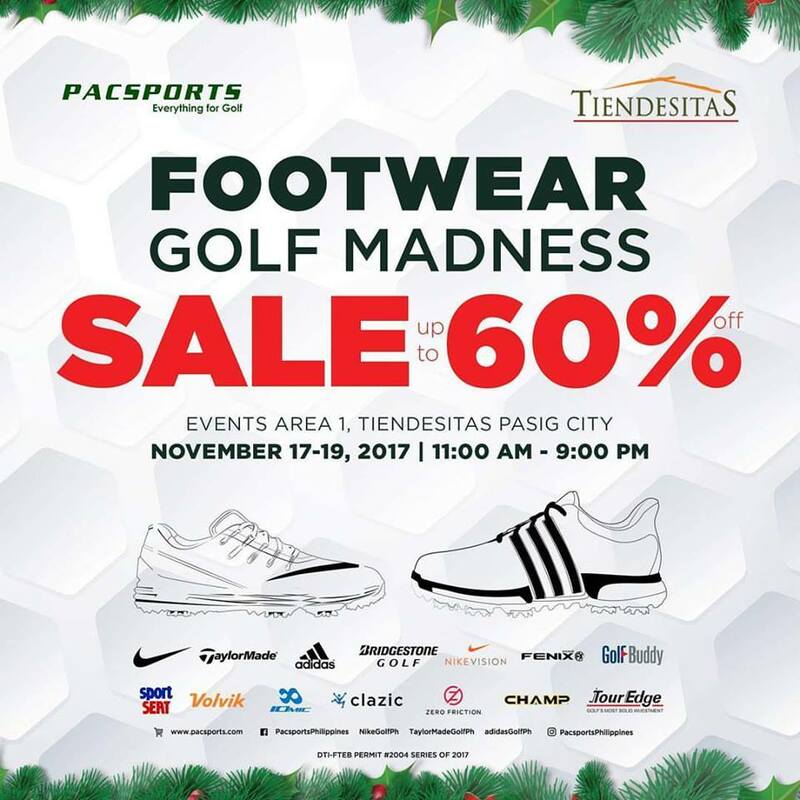 Check out Footwear Golf Madness SALE happening on November 17-19, 2017 from 11am to 9pm at Events Area 1 Tiendesitas Pasig City. 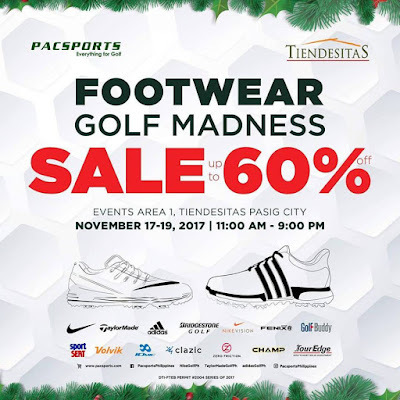 Get up to 60% off on your favorite golf footwear brands! 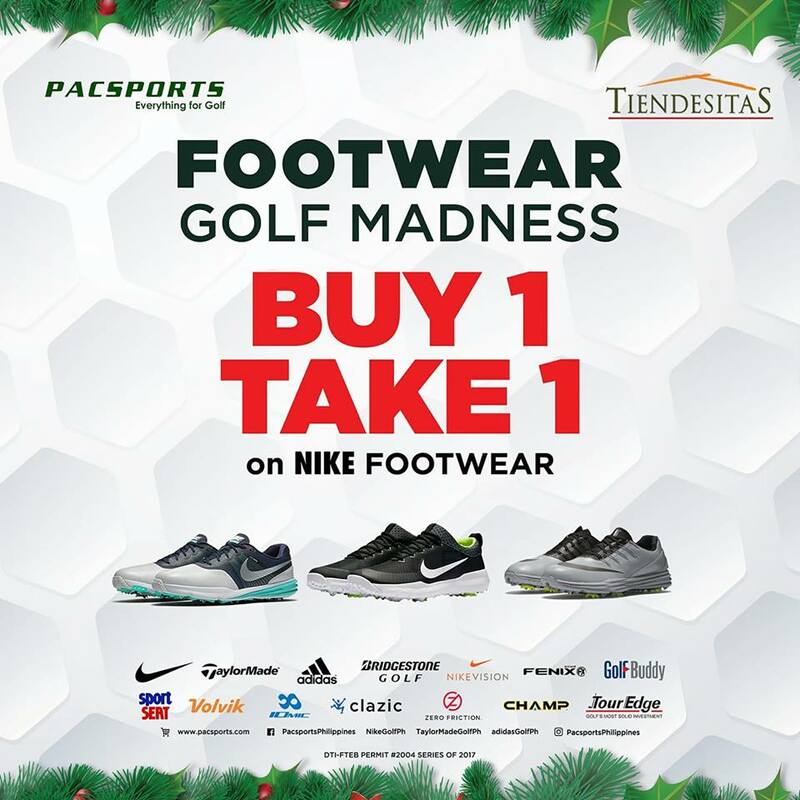 Plus...Buy1 Take1 offers on select Nike footwear! 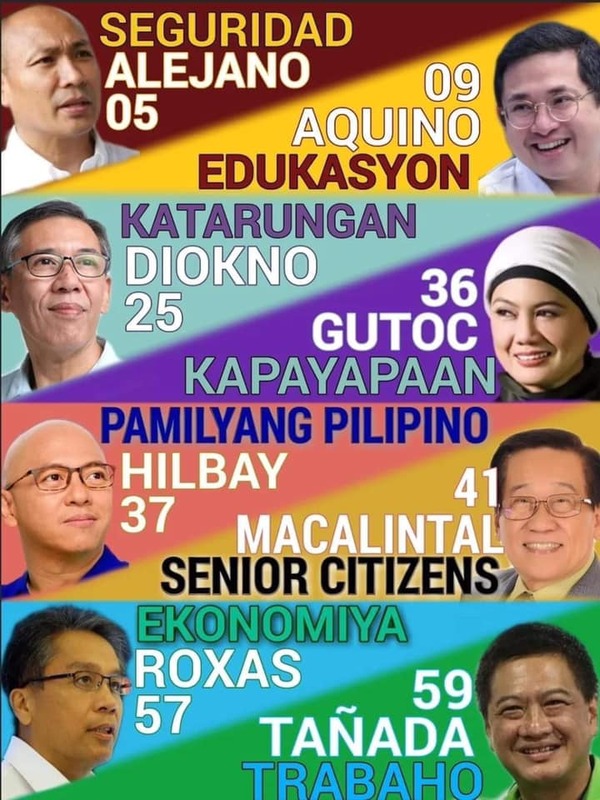 That's a pity. Missed the opportunity. 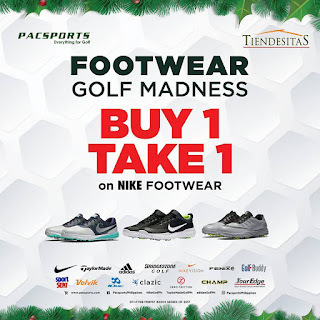 I am looking to buy a pair of Nike Golf Air Zoom 90 IT Shoes. ~ Russo.